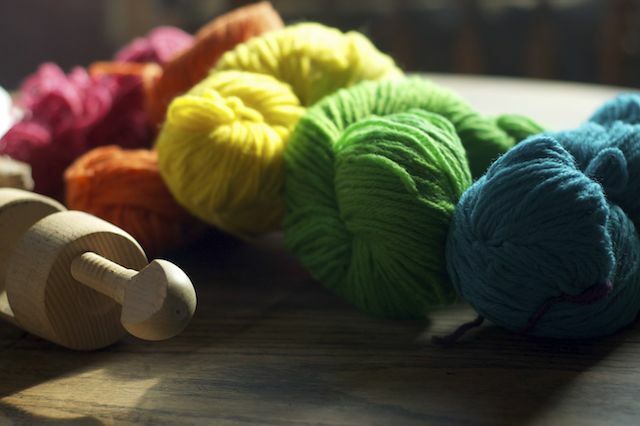 A table full of hand dyed yarn to be reskeined into mini's. They're just one of the color ways I'm dyeing for this year's Easter Basket Knitting Kits. They'll be for sale in the shop next week.